DUCTILCRETE® engineered systems are optimized for industrial applications. These differentiated slab and paving systems drastically reduce control joints and curling while delivering long-term performance. Contact us to get DUCTILCRETE® Engineered Systems on your project. DUCTILCRETE® CP100 is an engineered system for exterior concrete slabs and non-DOT concrete paving. DUCTILCRETE® CS100 is a patented dual-layer engineered system for concrete slabs. DUCTILCRETE® FS100 is an engineered system for concrete slabs. DUCTILCRETE® HB100 is a patented dual-layer engineered system for concrete slabs based on the Heidebed® technology and method. DUCTILCRETE® IT100 is an engineered system for refurbishment of existing interior concrete slabs. DUCTILCRETE® WT100 is an engineered system for non-DOT concrete paving. Industrial flooring in warehouses and manufacturing facilities take a great deal of wear and tear that can lead to serious maintenance issues and cost. Owners, investors and tenants want floors that are flat, have limited joints and require minimal long-term maintenance. 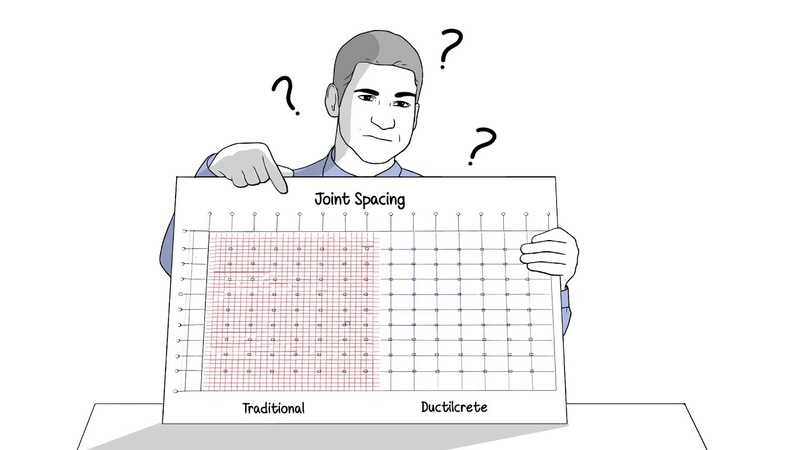 DUCTILCRETE® engineered systems help you achieve these objectives by extending joint spacing, reducing curling and the associated maintenance of your floor. To ensure a highest quality, DUCTILCRETE® systems can only be installed by professionally trained licensees. Find a DUCTILCRETE® system licensee in your area. All of these benefits positively influence the construction schedule and long-term cost of maintaining high performance industrial flooring. The design stage is just as important as the construction phase. With more than 80 years of experience in the concrete business, we understand that proper slab on grade designs, optimized mix designs as well as concrete placement are essential to a quality concrete slab. That is why we provide third-party validated designs and specifications, including site specific details (inclusive of load capacity charts). Concrete paving can have many of the same challenges as floor slabs. Cracking, curling and pavement joints can be major issues. DUCTILCRETE® engineered systems for paving can offer low lifecycle, sustainable, durable pavement solutions with resistance to salts and de-icers. DUCTILCRETE® engineered systems for concrete slabs and pavements are available nationwide through a network of licensed concrete placement contractors. Anywhere in the United States and Canada, we've got you covered. Contact us to get a DUCTILCRETE® Engineered System on your project.